The beach atmosphere has always been a fascination, as if possessed of magical powers and captivate every visitor. The vast stretches of sand, the waves breaking the silence, and the cool sea breezes. Oh, of course coupled with panoramic blue ocean, beautiful fishing boats, and row of swaying coconut trees, making the atmosphere more romantic. Visitors who are on vacation in Bali can explore and discover this beach, the Rangkan Beach (Pantai Rangkan Bali). The beach is situated in Banjar Rangkan, Ketewel Village, District of Sukawati, Gianyar Regency, Bali. The location is very strategic, close to the By Pass Prof. Dr. Ida Bagus Mantra. Visitors can access it from Kuta, Sanur, Ubud and East Bali. The majority of local residents are fishermen. Fishing activities carried out using traditional boats, often called "Jukung". After returning from the sea, the boats are moored on the beach. 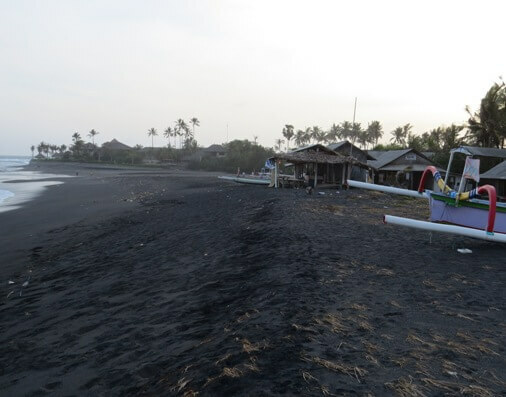 Rangkan beach became a center of fishing boats mooring in the coastal area of Gianyar. 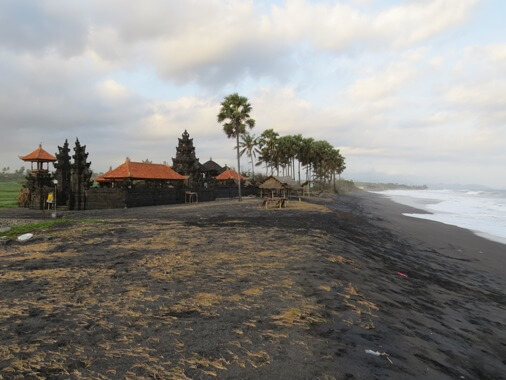 This is a beautiful black sand beach and sparkling when exposed to sunlight. 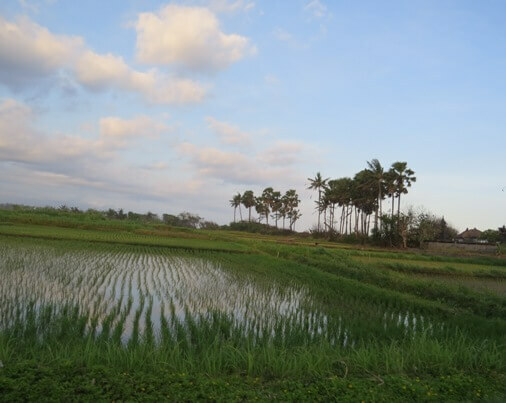 The beautiful coastal panoramas, lush paddy fields, and green vegetation, blend harmoniously with beach foam that wash the sand. Accompanied with peaceful rural environment, direct views of Nusa Penida and Bali Mountains as its backdrop. Wrapped into one in the frame of blue sky and white clouds. It's truly beautiful and attractive. The beach is also blessed with a charming sunrise. Along with the beauty of the panorama and the culture of locals as a fisherman, could be an option for photography lovers to be creative and hone skills. Several activities can be done here such as morning stroll, recreation, fishing, relaxation and more. At low tide, this beach is safe for bathing and swimming because it is protected by the edge of the reef. 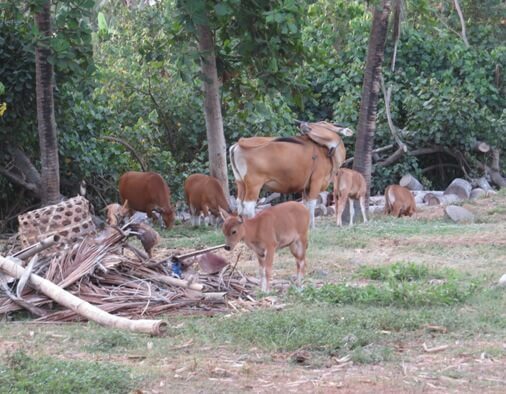 In addition, visitors can also see cattle, traditionally farmed by locals. But beside that, this beach has suffered a severe abrasion. The abrasion has contributed to the retrogressive of coastline, the loss of land, damaging the housing and infrastructure. Even the existence of Pura Dalem Rangkan and Pura Segara are threatened by the risk of these hazards.